Hi everyone! This is GiGi from The Cricut Bug and I am sharing this cute treat bag I made using the G'Day Mate stamp set. I started this project with the Goody Bag Die and cut it out along with the mat layer. 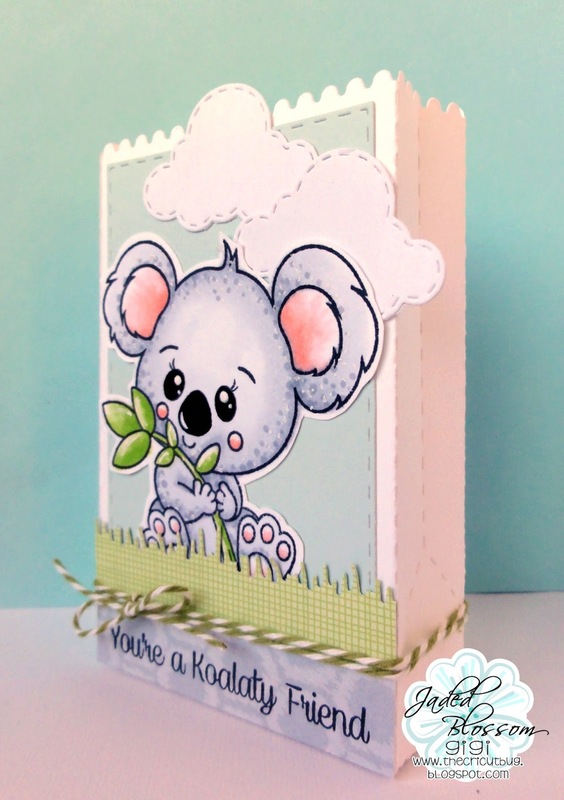 I added a strip to the bottom that I stamped the sentiment onto and the grass layer cut from the Spring Dies. 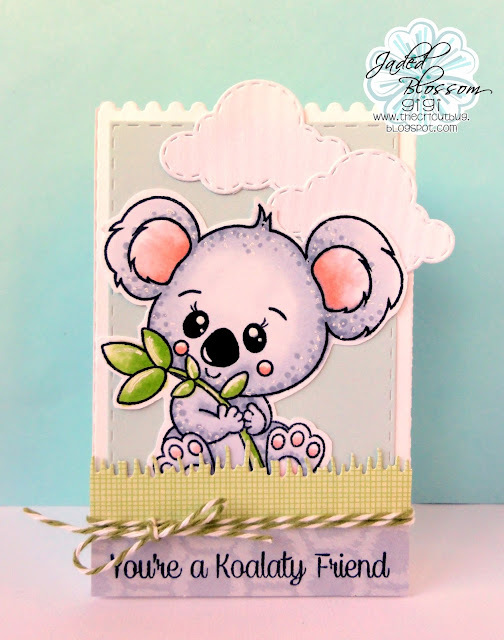 I stamped and colored the koala with Copic Markers from the G'Day Mate stamp set and added it to the bag. To finish, I added some clouds I cut with the Spring Dies 2 and tied some twine around the bag.